I could listen to music all day and night if I had the chance. From Ed Sheeran, Hunter Hayes, Beyonce and Jay-Z, my love for music has no boundaries. I love something from every genre. Music definitely picks me up when I'm down. There's nothing like a song that can make you forget your worries by Shaking it Off with a good dance, get it?! I listen to music daily while I'm cleaning up my house. Before it was on my iPod dock, which was great, but the hubby and I ended up giving it to our daughter once she got an iPod for Christmas last year. So I ended up buying a small speaker that could plug into my phone, iPod and tablet. It was great, but when you're listening to music, you want to be able to one, listen to it loud and two, be able to have your device free while your music is playing. 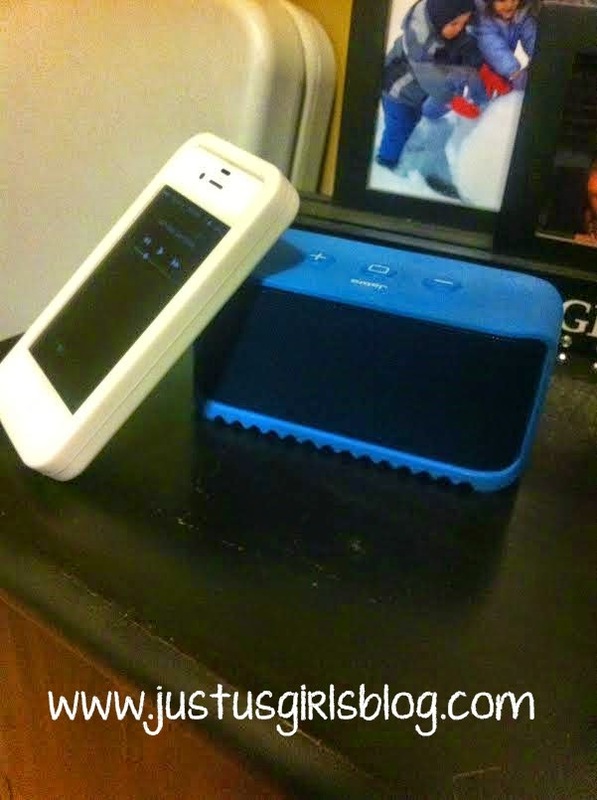 That's why I was excited when I got the chance to review Jabra's Solemate Mini Portable Wireless Speaker. This speaker is AMAZING! Not only is it compatible with my iPod, but also my phone, tablet and laptop through Bluetooth. It's great. This portable speaker is designed so that you can take it just about anywhere you go and that I did. I've taken it to friend's houses, listened to it outside while doing yard-work and during barbecues and all throughout the house while cleaning. I love how quickly it connects to whatever device you want to hook it up to. I also love that it tells you how much battery it has left on the device you're using it on. 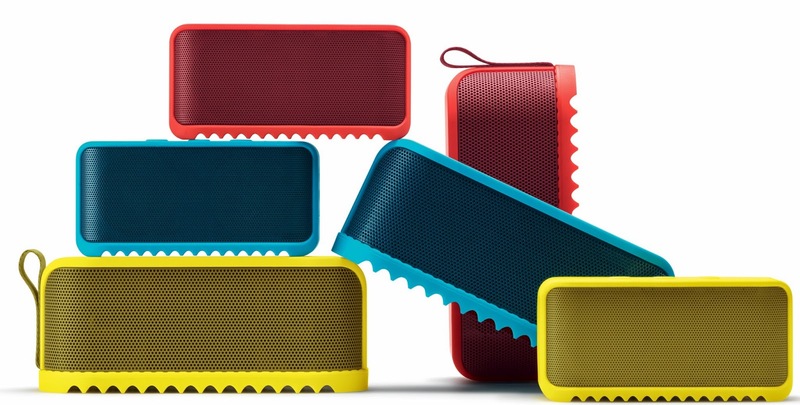 The Mini is dust and splash resistant and the rubber coating around the speaker protects it from scrapes and bumps. This will definitely come in handy when we go camping next Summer and when we take the kiddos out for picnics at the park or the beach. It's got two powerful speakers, the battery gives you up to 8 hours of play time for music, games and movies. Plus, this wireless speaker can connect to a device for up to 33 feet! It also comes with a audio cable in case you need to connect your device directly to the speaker. The Jabra Solemate Mini comes in red, blue yellow and black and can be purchased at Best Buy, Future Shop, The Source and Rogers Interactive Stores retailing at $99. This would be a perfect gift this holiday season for any music lover in your life or for yourself. They'll be happy to have a speaker that will be compatible with their smart devices that's light, small enough to travel with, but also gives out powerful sound! For more information about the Mini Solemate and other Jabra products head over to www.jabra.ca. Disclosure: All opinions are my own. I received Jabra Solemate Mini at no cost for the purpose of this review. No other compensation was received.